where Sublime Nature meets You! Sunshine Studios' premises fit harmoniously into nature. Sunshine Studios are decorated with emphasis on simplicity! Every studio has its own private balcony with spectacular view! Sunshine Studios are equipped with two single beds, kitchenettes, closets, TV, A/C, and wi-fi! You can choose between our double studios and triple studio. Our triple studio (1 double bed and 1 single bed) is more spacious and can accommodate easier couples that have children! Being clean is our priority! Every studio has its private restroom with shower! 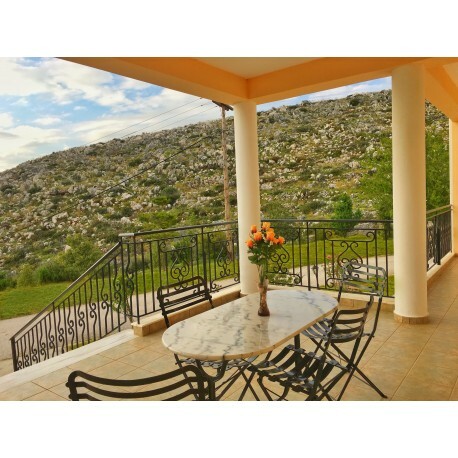 You can share Sunshine Studios' front balcony with interesting people from all over the world! 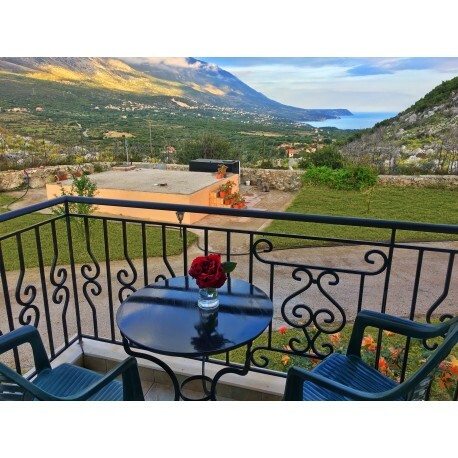 Families, couples, individuals that love spending quality time in nature will find Sunshine Studios in Kefalonia, a destination matched to no other, with no tourist traffic and breathtaking open space! From the beginning our vision was to create a place in Kefalonia island for people who love to spend quality and peaceful time in nature! Our studios are minimal decorated, giving emphasis to the nature that surrounds Sunshine Studios in harmony!